It’s 10 o’clock. Do you know where your lambs are? | Loch Lomond Livestock Ltd.
It’s 10 o’clock. Do you know where your lambs are? Most of the lambs have arrived. As usual it was a busy 3 weeks, with about 600 lambs arriving in that time span. It went well, the lambs are a good size and strong, the weather has been good, and the ewes are getting more self sufficient every year. The majority are out in a larger pasture so it is important that each ewe knows how many lambs she has and where they are. When the lambs are young, the stick pretty close to their mom, but as they age, they get bolder and more independent and stray further away. When I walk through the flock each morning, one of the things I am looking for is missing or hungry lambs. 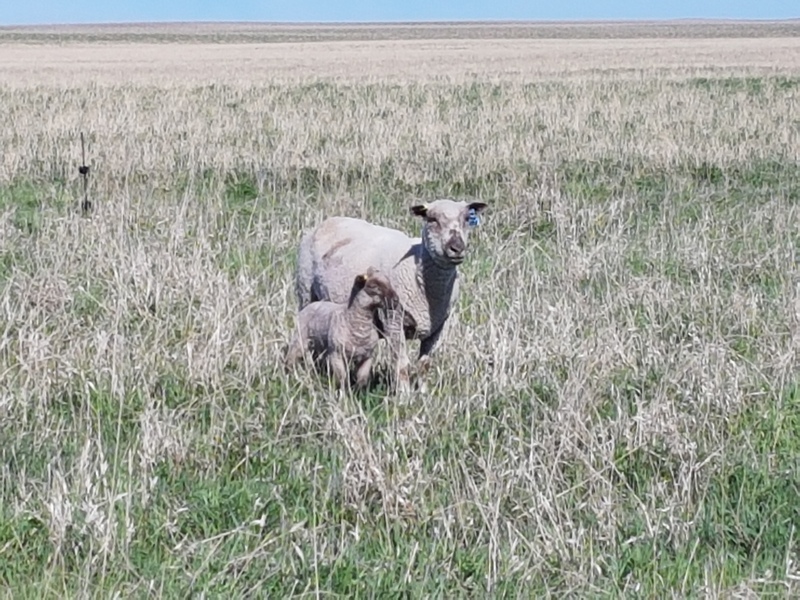 Usually the best indicator that a lamb has gone missing (we have had a couple coyotes hanging around grabbing the odd take-our meal) is a ewe that is looking for it. In the mid morning, after the ewes have grazed, they usually bed down with their lambs nearby for a rest. When I see this, I can be pretty assured that there are no issues here. If a ewe is looking for her lamb, I check my book, note the lambs number, and keep watch for it. If a lamb is looking for a ewe and looks hungry and lost, I do the same. At this point I am relying heavily on the sheep to let me know if something is wrong. 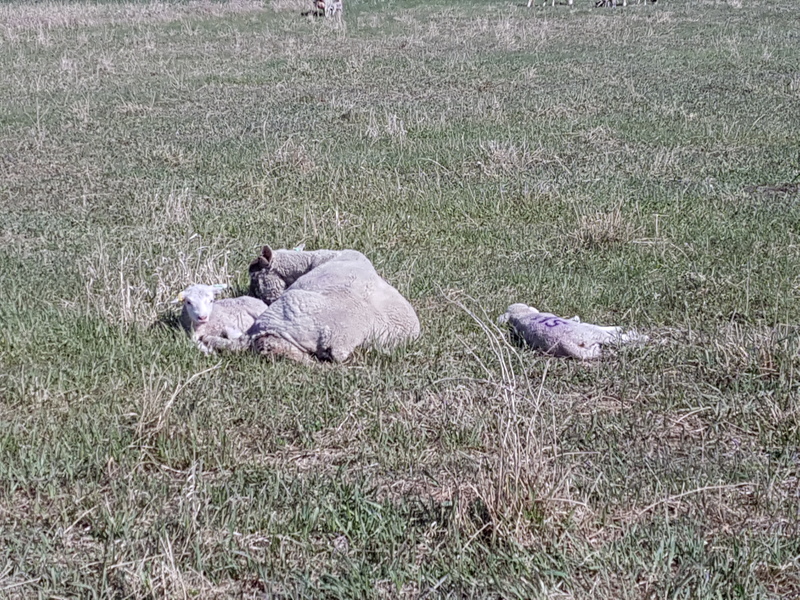 The lambs size right now means that they can be carried off by a coyote with little to no evidence left behind, or the lambs can even just lay down in the grass and be difficult to find. But as long as their mom is on the job, they should be fine.